MADISON - Sixteen birds, plants and other animals are proposed to be removed from the state's list of endangered or threatened species as the result of a comprehensive scientific review of rare species in Wisconsin, according to state endangered species officials. They are now starting on the administrative rule-making steps required to make the proposed changes. Information on those proposed changes, process followed, and public comment opportunities are available on the Endangered Resources pages of the Department of Natural Resources website. Some of the 16 species proposed for removal responded well to protections given to listed species and management efforts to increase their populations, while others were found to not be as rare as once thought or no longer occur in the state. At the same time, eight different species found during the review to be in jeopardy now or in the near future are proposed to be added to the list, a status that would make it illegal under Wisconsin's Endangered Species Law for people to kill, transport, possess, process or sell them. "Extensive review of field data from scientists and citizen monitors, DNA analysis, and new mapping technologies have given us an unprecedented understanding of Wisconsin's natural heritage," said Laurie Osterndorf, who directs DNR's Endangered Resources Bureau. "We're proposing to update our list to accurately reflect this information, recognizing Wisconsin's success in restoring some rare species while giving others the protections they need to survive in the 21st century." Wisconsin's Endangered Species Law requires DNR to review and, following public input, revise its list of endangered or threatened species. Since the first list was developed in 1972, it has been revised 10 times, most recently in 2011 to add cave bats due to the imminent threat of white-nose syndrome. State endangered resources staff and outside taxonomy experts have been reviewing information to update the list since January 2010, and are now starting on the administrative rule-making steps required to make the changes. The steps needed before revisions can be made to the list have changed as a result of Act 21, a law passed earlier this year that required an economic impact analysis be developed in consultation with those who may be affected, along with a more lengthy legislative review process. Earlier this week, Gov. Scott Walker approved DNR's scope of the rule, which relates to the policy, purpose and objectives of the rule. DNR will go to the Natural Resources Board in early 2012 to seek approval of the scope statement, followed by seeking board authorization to collect public comment to go into the economic impact analysis required of the rule. After that analysis is done, DNR would seek board authorization to conduct public hearings on the rule specifics. People interested in following the process can get electronic updates by visiting the Endangered Resources web page and selecting "Subscribe to E/T Updates." Current list changes reflect new field studies, modeling, genetic analysis The current review and revision effort started in January 2010 with DNR's endangered resources staff reviewing scientific data for 3,000 plants and animals. Staff recommended 331 species for full, comprehensive status reviews, Osterndorf said. Biologists from a variety of state and federal agencies, organizations, and universities, as well as naturalists throughout the state with taxonomic expertise provided new or updated information on the population condition and distribution of rare species in the state. "This is the most comprehensive review ever conducted by the department of the status of Wisconsin’s plants and animals," said Kurt Thiede, who leads DNR's Land Division, which includes the endangered resources program. "The program has made strides to create a more transparent list review process and has developed specific scientific guidelines governing how current research is applied to decision-making,"
DNR submitted information along with all current scientific research for each species, and made its proposed revisions. Charts with photos showing the species proposed for addition to or removal from the list are available online, along with the reason for the listing decision, Osterndorf said. The 16 species proposed to be removed from the list are the greater redhorse, a small fish; the barn owl, snowy egret, and Bewick's Wren, the Pygmy Snaketail, a dragonfly, and two reptiles. 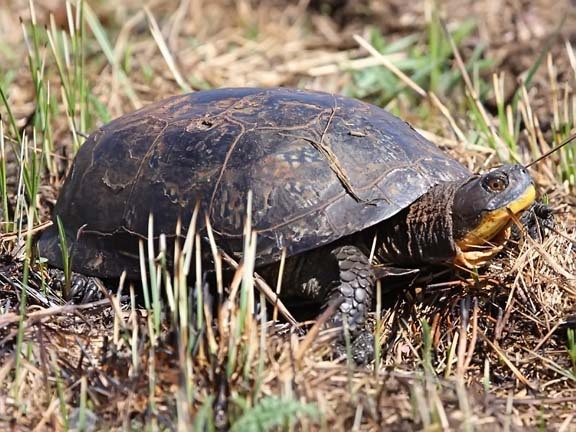 The Blanding's Turtle review determined there are large, stable populations and wide distribution. 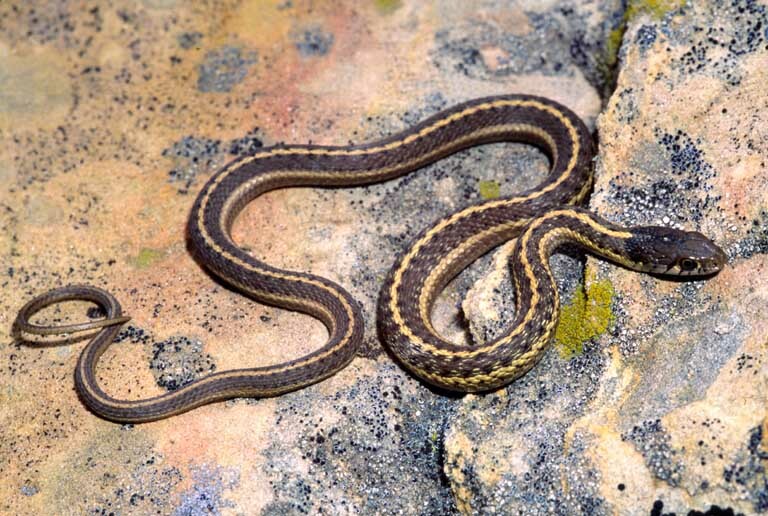 In the case of Butler's Gartersnake, new information indicated greater abundance and range than previously believed. “Genetic analysis done by UW-Stevens Point researchers concluded that hybridization is not a threat to the species,” Osterndorf said. The remaining species proposed to be removed from the list are plants: the American fever-few, bog bluegrass, Canada horse-balm, drooping sedge, hemlock Parsley, prairie Indian-Plantain, snowy campion, yellow gentian, and Yellow Giant Hyssop. These species are proposed to be delisted for one or more of the following reasons: determination that populations are stable or increasing; new information about the populations; a positive response to protection and management efforts; and/or determination the plant no longer exists in Wisconsin. Species being recommended for listing to protect declining populations include three birds -- the Black Tern, Kirtland's Warbler, Upland Sandpiper; and four invertebrates -- the beach-dune tiger beetle, ottoe skipper, a leafhopper, an Issid planthopper, and fawnsfoot mussel. Wisconsin has been a leader in protecting and restoring endangered species, and in fact passed the nation's first endangered species law in 1972, preceding the federal law. Among those endangered species whose populations have recovered in Wisconsin to the degree they have been removed from the list include bald eagles, which were removed from the list in 1997, gray wolves in 2004, osprey in 2009, and trumpeter swans in 2009.